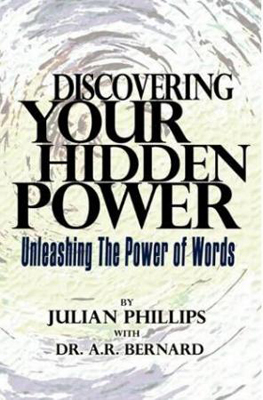 Emmy award winning news anchor and motivational speaker Julian Phillips chronicles periods in his own life to demonstrate how the power of the scriptures helped him through personal trials and crisis. Dr. A.R. Bernard, Senior pastor of New York Christian Cultural Center unlocks the keys to harness the power of the words in scriptures that deal with life's many challenges. Discovering Your Hidden Power is AVAILABLE on Amazon.com. Let me know your thoughts on my book!